Orb doodles on painted paper with paint markers. 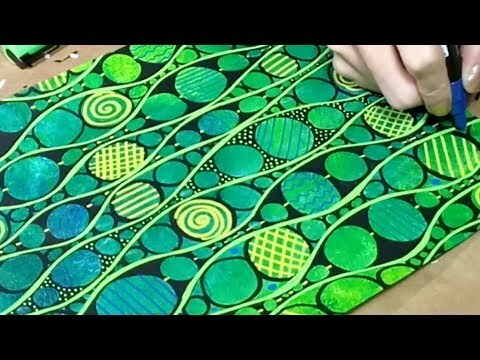 Paper is painted with acrylic paint and dried. I used black, white, green, yellow and blue POSCA paint markers.